Sydney Camm was born on 5th August 1893 at 10 Alma Road, Windsor, Berkshire, the eldest of 12 children to Frederick Camm, a carpenter, and Mary Smith. In 1901 Camm began attending the Royal Free School on Bachelors Acre in Windsor. In 1906 he was granted a Foundation Scholarship and in 1908 he left to become an apprentice carpenter. 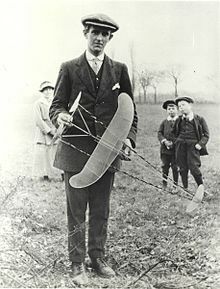 He developed an interest in aeronautics, and with his brothers began building model aircraft which were supplied to Herberts’ shop on Eton High Street. After finding that they could obtain a higher price they began selling direct to boys at Eton College, delivering the models in secret to avoid the attention of Herbert’s and the school authorities. These activities led Camm to become a founding member of the Windsor Model Aeroplane Club in early 1912. In the same year, he and others at the club succeeded in building a man-carrying glider. Shortly before WW1, Camm obtained a position as a shop-floor carpenter at the Martinsyde aircraft company, based at the Brooklands racing circuit in Weybridge, Surrey. He was soon promoted to the drawing office, where he remained thoughout the war. After the company went into liquidation in 1921, he joined George Handasyde’s aircraft manufacturing company, which was responsible for the Handasyde Monoplane. Having married in 1915, Sydney and wife Hilda had a daughter in 1922. In November the following year Sydney joined the Hawker Aircraft Company, based at Canbury Park Road in Kingston upon Thames, Surrey, as a senior draughtsman. His first design was the Cygnet, and he was appointed Chief Designer in 1925. At that time, in association with Hawker MD Fred Sigrist, he developed a system of construction using jointed metal tubes, more complex than the alternative, welded structure. In fact Camm was responsible for the creation of 52 different Hawker aircraft types, of which a total of 26,000 examples were built. At one time during the 1930s, he was responsible for the design on 84 per cent of the RAF’s aircraft. Of course Camm is most widely known for the aircraft that would become mainstays of the RAF in WWII, notably the Hawker Hurricane, the Typhoon, the Tempest and its high-performance derivative, the Sea Fury. Nevertheless Camm continued to design aircraft for Hawker after WWII, creating many of the most significant jet aircraft of the Cold War era. including the Hunter and the revolutionary P1127 and Kestrel FGA1, which led directly to the Harrier ‘jump jet’. 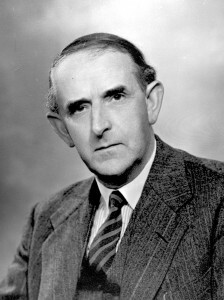 For his major role in the development of crucial vertical take-off and landing (VTOL) technologies such as vectored-thrust engines and reaction control systems, and for his invaluable contribution to British aviation, indeed arguably the very survival of the nation, Camm was knighted in 1953. 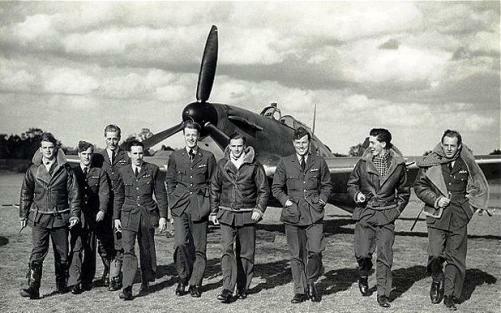 He also served as President of the Royal Aeronautical Society from 1954 to 1955. Camm worked for Hawker until his retirement in 1965, even then planning an aircraft capable of Mach 4, and remained on the board of Hawker’s successor company, Hawker Siddeley (later merged with British Aerospace, now BAE Systems). A resident of Thames Ditton since the 1930s, he was playing golf at the nearby Richmond Golf Course when he died on 12th March 1966, aged 72. He was buried in Long Ditton.